Former Trump campaign staffer Alva Johnson says the president forcibly kissed her during his 2016 campaign. Cable news barely covered it. On Monday, The Washington Post reported on a former Trump campaign staffer who says President Donald Trump forcibly kissed her during his 2016 campaign. Such a report would be a major story if made against any other president, but it garnered scant coverage by cable news outlets despite a long list of public reports of sexual misconduct by Trump. While MSNBC discussed the story for 25 minutes on Monday, Fox News devoted less than one minute of coverage to the allegations, and CNN ignored the story altogether. 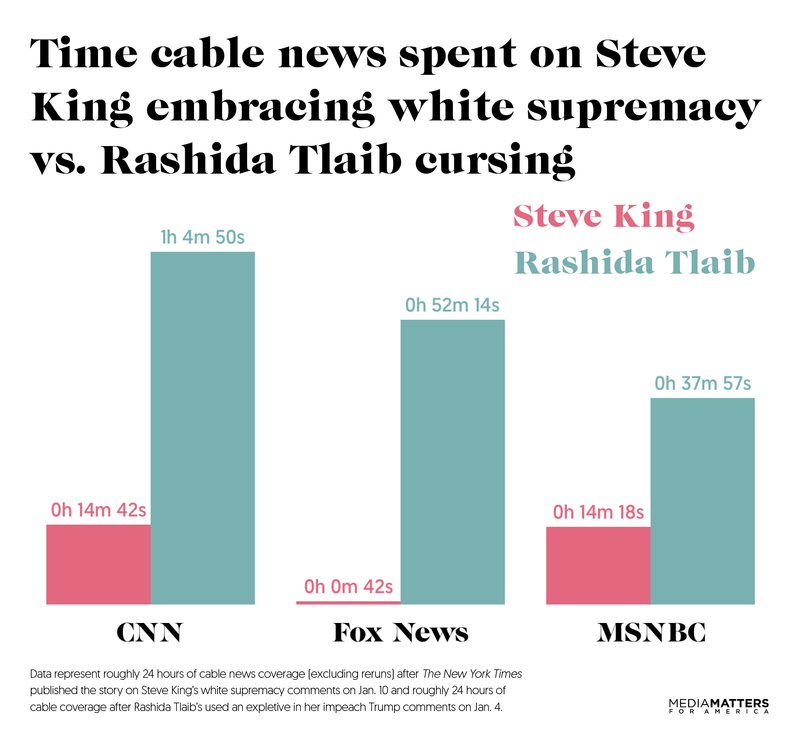 MSNBC provided the most coverage of the cable networks, devoting over 25 minutes of to the story yesterday -- nearly half of which came on All In with Chris Hayes. Fox News’ and CNN’s coverage paled in comparison: Fox devoted less than one minute to the allegations, all of which was centered around the White House’s denial, while CNN failed to even mention the story at all. Johnson joins at least 16 other women who have reported sexual misconduct by Trump spanning decades -- including several reports that directly mirror Johnson’s allegation. Trump and his spokespeople have repeatedly attacked these women as liars and political pawns seeking fame and financial advancement. As MSNBC’s Chris Hayes noted, the report would be “enormous, world-stopping news” if made against former President Barack Obama, but accounts of sexual misconduct are “priced in” when covering Trump. 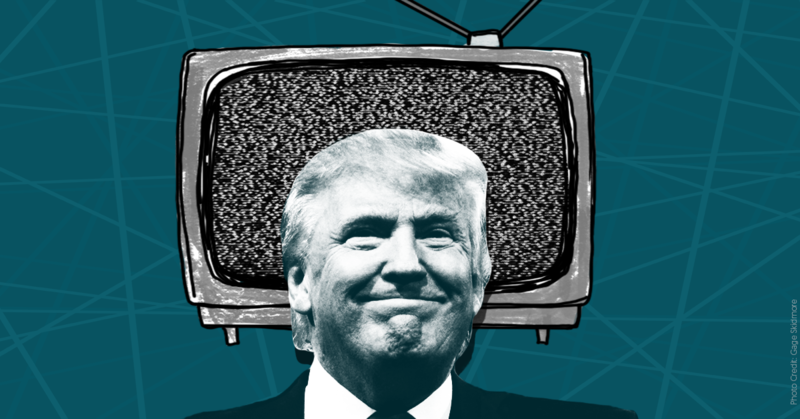 Cable networks’ decision to ignore a new, credible report of sexual misconduct by the president -- the first alleged to have taken place during his presidential campaign -- is yet another example of media’s normalization of Trump’s conduct in office. 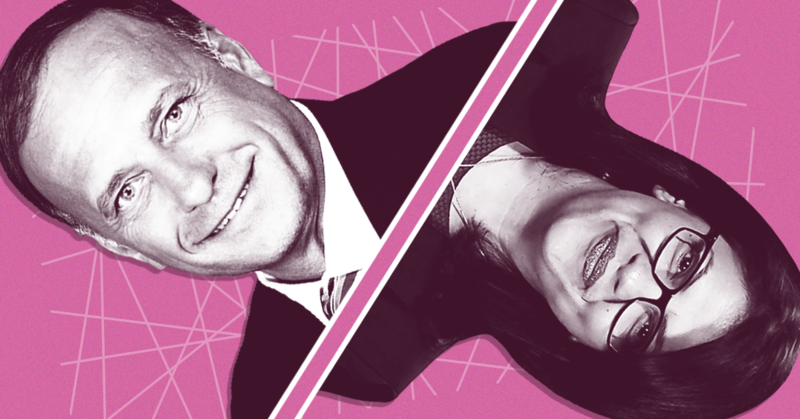 Media Matters searched the SnapStream video database for any mentions of “Johnson,” “kiss,” “Washington Post,” or “staffer” and timed all conversation related to the story on February 25. As outrage continues to grow over the Trump administration’s policy of separating immigrant children from their families, Fox News is more focused on another issue -- the inspector general’s report into how the FBI handled the Hillary Clinton email investigation. While immigration was clearly the main story on CNN and MSNBC throughout the morning and early afternoon today, Fox spent over two and a half hours discussing the inspector general’s report and carrying the second day of congressional hearings live. In comparison, Fox devoted just over an hour and a half to discussing immigration and President Donald Trump’s policy of separating children from their families. 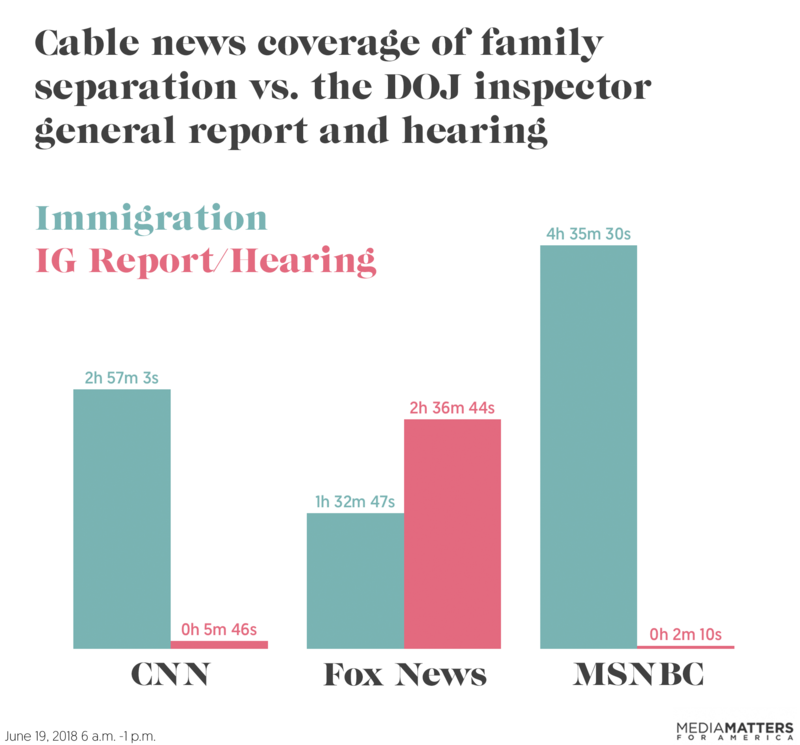 According to a review by Media Matters, MSNBC spent 4 hours and 35 minutes covering immigration and family separation today from 6 a.m. through 1 p.m. while discussing the inspector general report for just over two minutes. CNN spent nearly three hours on immigration and mentioned the inspector general report for just under six minutes. Fox News spent 1 hour and 33 minutes discussing immigration and 2 hours and 37 minutes covering the inspector general’s report and the hearing on Capitol Hill. Fox carried the congressional hearing about the report live for nearly an hour and a half. CNN’s and MSNBC’s dedication to covering family separation can also be seen by the personnel they have dispatched to Texas. MSNBC anchors Stephanie Ruhle, Craig Melvin, Chris Hayes, and Lawrence O’Donnell are all in Texas along with several correspondents. Similarly, CNN has seven crews in the region, according to CNN reporter Brian Stelter’s Reliable Sources newsletter. Fox’s coverage, however, has left much to be desired. 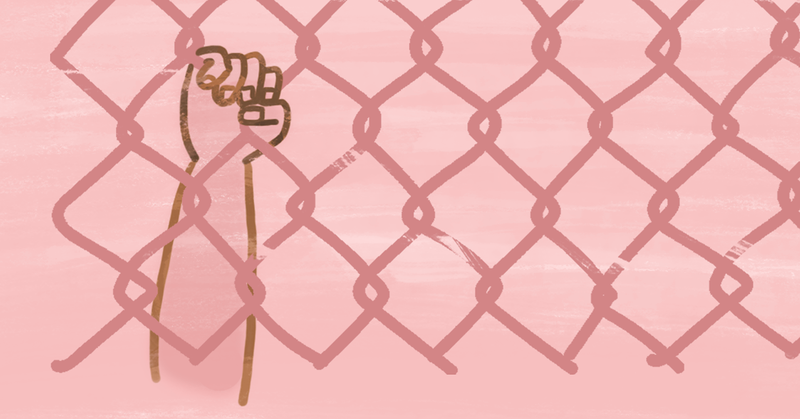 Fox News hosts have been attempting to put a positive spin on the practice of separating children from their parents, lying about what’s happening, and mocking people who are outraged by a policy that the United Nations human rights office has criticized as an “arbitrary and unlawful interference in family life” and “a serious violation of the rights of the child.” Another difference in the coverage has been Fox’s decision to not play audio obtained by ProPublica of immigrant children in American detention facilities crying for their parents. CNN and MSNBC have played the audio repeatedly throughout their reporting. One thing is clear: While thousands of children are being interned at the U.S. border and separated from their families, Fox News thinks it’s more important to focus on a closed investigation into the Clinton email probe. MSNBC political analyst Rick Tyler, formerly a presidential campaign spokesperson for Ted Cruz who was fired for promoting a fake story, is currently “helping” Chris McDaniel, a Mississippi Republican waging his second attempted primary challenge for a Senate seat. McDaniel has a record of associating with extremists, neo-Confederates, and radio hosts with anti-Semitic views.